Keirston Woods ’96 had a strong interest in politics and community organizing, an interest she put into action through her volunteer work with the NAACP Youth Council. When she started at Duke University after graduating from Bryn Mawr, it didn’t take her too long to realize that a career in law might be a good way to incorporate these interests in her future work. 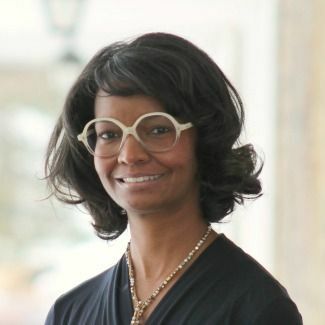 “For me there was a clear connection between law and politics, law and civil rights, all the things that were important to me,” Woods says. After the meeting, Woods was inspired by how invested the students she met were in thinking about diversity beyond their own experiences. “I was quite impressed with their concern with diversity as a whole and the value that overall diversity gives to the Bryn Mawr environment,” Woods says.